Paws Reports: #AtoZChallenge : L is for …. Continuing with my blog challenge, since we live in San Diego, we knew what L stood for… LEGOLAND of course ! Human kids love the 128 acre LEGOLAND park with 60 attractions and 22,000 LEGO models created from over 50 million LEGO bricks! They even have a cool Legoland hotel now! 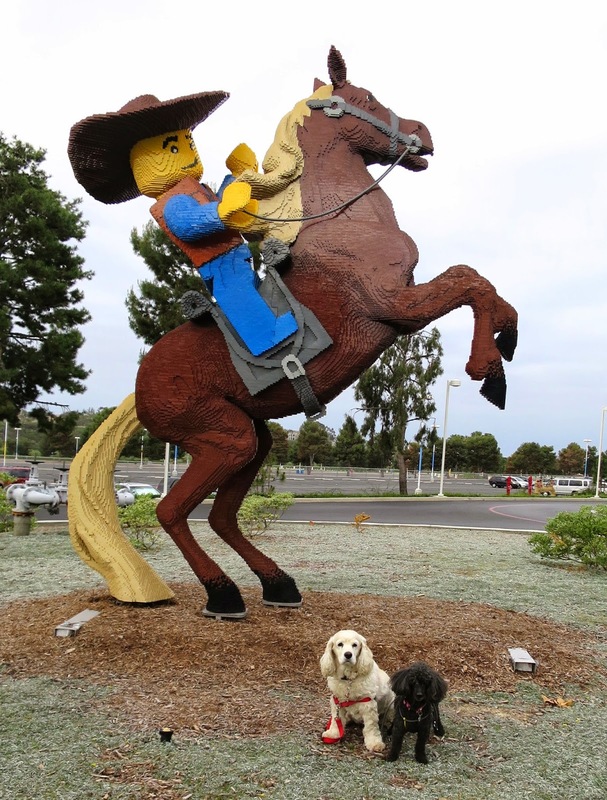 While we couldn't go in the park, we did meet a LEGO man on his horse. Annie was a bit concerned by the horse's large size, but I assured her that the man was in full control of his horse. That place I think is more for adults. I remember playing with a small amount of pieces when I was 10 years old. Oh Fernando -- kids love it. My 6 year old Nephew is obsessed with Legos and Legoland! It is very cool to see the models. BearHUG & RosyPoodleKisses! I wonder if the stuff in Legoland has been kragled? If not, how does it not all fall apart? Mom went to Legoland at the Mall of America. It was her favorite thing in the mall. Oh! I almost forgot - Happy Passover! I guess it has been kragled !! Happy Passover to you too! BearHUG & RosyPoodleKisses! I think my nephew (My Mom 's grandson) would love that place. He's only 2, so he might not be big enough yet. I could bat around the pieces if they let kitties in! Happy Passover to you guys! I will let you know. My 2yr old niece Charlotte is coming this summer and she will be going. And yes -- you would probably have so much fan playing with the bricks! BearHUG & RosyPoodleKisses! 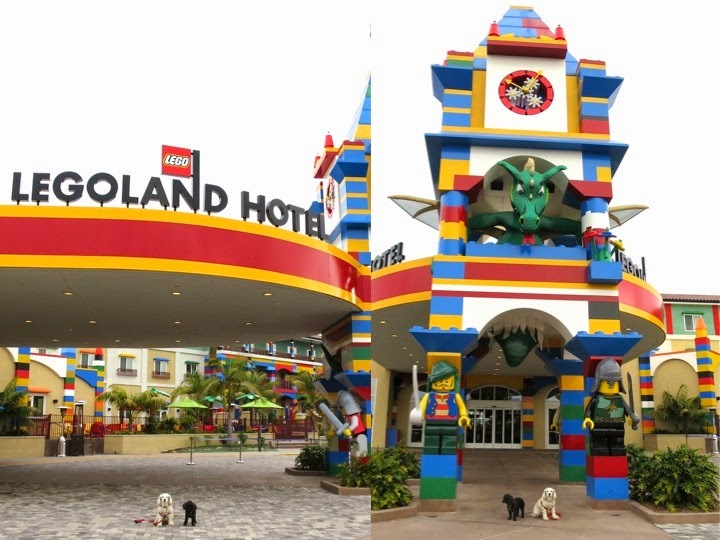 Love the look of that Legoland hotel! Yes! The hotel is so fab ! Thanks for visiting me! BearHUG & RosyPoodleKisses! My 6yr old nephew is obsessed with Legos. He can't wait to come visit to go to Legoland. I wish I could go with them! BearHUG & RosyPoodleKisses! Wow. I had no idea that there was a LEGOLAND . . . and so close to your home! Must add that to the travel plans.